Philip Baker QC began practice in 1987, having been a full-time lecturer in law at London University from 1979 until then. He has maintained some links with academia, and is now Visiting Professor at the Law Faculty of Oxford University and a Senior Visiting Fellow at the Institute of Advanced Legal Studies, University of London. He took silk in 2002. He specialises primarily in international aspects of taxation, which covers both corporate and private client matters. He has advised and represented several governments on tax matters, and appeared as an expert witness in a number of cases around the world. He has a particular interest in taxation and the European Convention on Human Rights, and is the author of a book on Double Taxation Conventions, and the editor of the International Tax Law Reports. 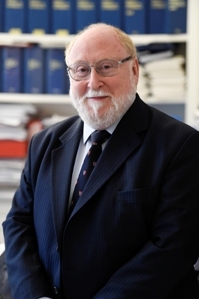 He has appeared in cases before courts and tribunals at virtually every level from the Special Commissioners (now the Tax Tribunal) to the House of Lords (now the Supreme Court), Privy Council and European Court of Justice. He is a former member of the Council of the Chartered Institute of Taxation, and remains a member of several committees of the CIOT and of the International Tax Sub-Committee of the Law Society. He is a member of the UK Committee of the International Fiscal Association and a former member of the Permanent Scientific Committee of IFA. He is married with twin sons and a younger daughter, all now off at university. Happily, none intend to become lawyers. In 1997 he was awarded an OBE for work with Chinese political refugees in the UK.